[su_dropcap style=”simple”]e[/su_dropcap]-Government, also known as Electronic Government or Digital Government – the act called as e-Governance, has become very common terminology now a days. However, there are so many different views and definitions of e-Government (also written as eG0vernment, correspondingly eGovernance.) Whatever the differences in views from different people but it is the approach in converting every government activities in digital form and providing these activities in terms of services tot he citizens or stakeholders. 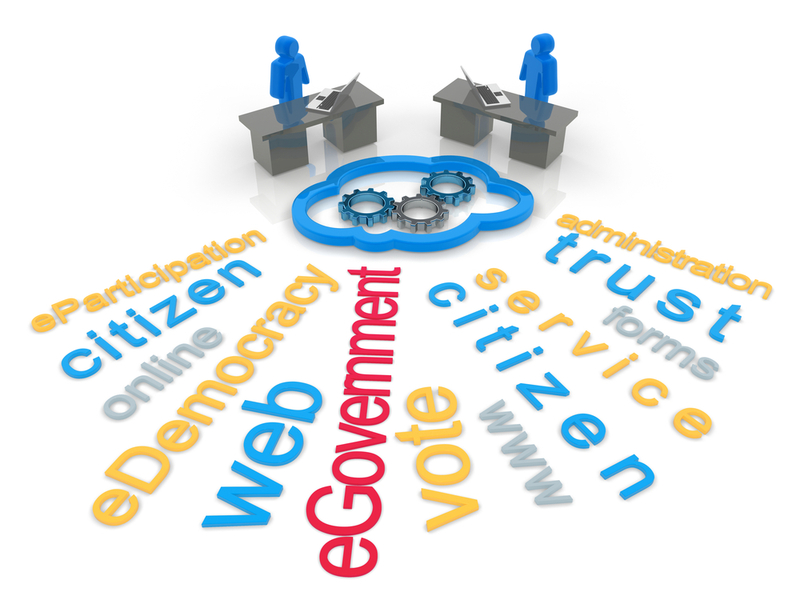 What is e-Government is what you just know all about e-Governance. The United Nation’s Public Administration Programme (UNPAN) gives the overview of E-Government as a conceptual framework embedded in the paradigm of human and social development. In sense that, e-Government encompasses the capacity and the willingness of the public sector to deploy ICT for improving knowledge and information in the service of the citizen. Capacity espouses financial, infrastructural, human capital, regulatory, administrative and systemic capability of the state. The willingness, on part of the government, to provide information and knowledge for the empowerment of the citizen is a testament to the government’s commitment. E-Government Development is a function of not only a country’s state of readiness but also its technological and telecommunication infrastructure and the level of its human resource development, among other factors, and at a minimum should be based on the level of all three. E-government initiatives, however, sophisticated are unlikely to contribute significantly to development if they reach only the privileged few. The UN provides periodic e-Government statistics and ranking of all the countries along with their trends, and comparison with other nations. Anyone can participate in the e-Government database directory and survey of the UN providing facts about e-Governance. The digital agenda of European Union’s Public Services express that e-Government uses digital tools and systems to provide better public services to citizens and businesses. Effective eGovernment can provide a wide variety of benefits including more efficiency and savings for governments and businesses, increased transparency, and greater participation of citizens in political life. The EU has advanced e-Government strategies than rest of the world, hence their definition of e-Governance and the implications of ICT resources associated. ICTs are already widely used by government bodies, just as in enterprises, but eGovernment involves much more than just the tools. It also involves rethinking organisations and processes, and changing behaviour so that public services are delivered more efficiently to people. Implemented well, eGovernment enables citizens, enterprises and organisations to carry out their business with government more easily, more quickly and at lower cost. “E-Government” that the World Bank defines refers to the use by government agencies of information technologies (such as Wide Area Networks, the Internet, and mobile computing) that have the ability to transform relations with citizens, businesses, and other arms of government. The technologies of e-Government can serve a variety of different ends: better delivery of government services to citizens, improved interactions with business and industry, citizen empowerment through access to information, or more efficient government management. The resulting benefits can be less corruption, increased transparency, greater convenience, revenue growth, and/or cost reductions. 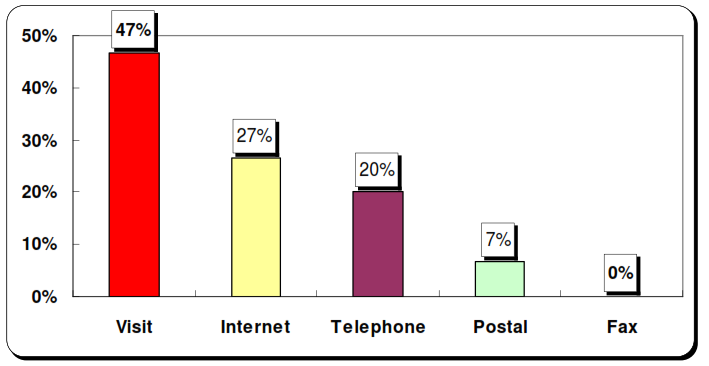 Differences between e-Government and traditional Government that the World Bank defines is in performance and engagement of the parties. Traditionally, the interaction between a citizen or business and a government agency took place in a government office. With emerging information and communication technologies it is possible to locate service centers closer to the clients. Such centers may consist of an unattended kiosk in the government agency, a service kiosk located close to the client, or the use of a personal computer in the home or office. Analogous to e-commerce, which allows businesses to transact with each other more efficiently (B2B) and brings customers closer to businesses (B2C), e-government aims to make the interaction between government and citizens (G2C), government and business enterprises (G2B), and inter-agency relationships (G2G) more friendly, convenient, transparent, and inexpensive. E-Government: Analysis Framework and Methodology publication of OECD first defined e-Government in 2002. The term “e-government” focuses on the use of new information and communication technologies (ICTs) by governments as applied to the full range of government functions. In particular, the networking potential offered by the Internet and related technologies has the potential to transform the structures and operation of government. As personally, I’m researching and interested in e-Governance capabilities and engineering the architecture of e-Government in third world countries and developing economies, here is what Government of Nepal thinks they e-Government means to them. The e-Government planning and conceptual framework has been presented to Nepal in an extensive support from the Government of Korea (KIPA). Improve the quality of people’s life without any discrimination, transcending regional and racial differences, and realize socio-economic development by building a transparent government and providing value added quality services through ICT. To realize the vision and mission, the consulting team worked out strategies and selected 33 projects in sectors comprising G2C, G2B, G2G and infrastructure. All the projects are vital for Nepal, but there is a limitation of time, budget, human resource and capability of implementing such projects. Thus, the priority was given by considering the availability of technologies, institutional readiness, emergency handling capacity as well as environmental impact. This is what e-Government means to the Government of Nepal, however, they are still in consultation of the agenda. One can explore the legal aspects of e-Government, and its similarities/dissimilarities with e-commerce at ADB’s resource book here.